Princess Cruises has once again received top honors as the “Best Cruise Line in Alaska” in the annual Travel Weekly Readers’ Choice Awards. This marks the fifth year in a row, and the eighth time, that the company has been recognized with this distinction by the respected magazine’s travel agent readers for its Alaska cruises and cruisetours. Drawing upon more than 40 years of experience cruising the 49th state, Princess Cruises offers Gulf of Alaska and Inside Passage sailings and an extensive selection of cruisetours, with accommodations at five Princess-owned and operated, scenic wilderness lodges. The company’s immersive Alaska experience is created by combining a seven-day Gulf of Alaska cruise, including two distinct glacier viewing opportunities, with a land tour ranging from three to nine nights, along with travel by glass-domed railcars. 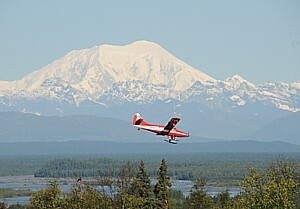 In addition to experiencing the state’s charming port towns, spectacular scenery and marine life while on a Princess ship, passengers who extend their vacation with a land tour will explore Alaska’s dramatic interior including at least one night among the wilderness of Denali National Park, one of the state’s top attractions. 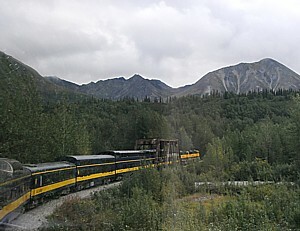 And only Princess offers Direct-to-the-Wilderness rail travel to give visitors more time in the Denali area. Princess’ 2012 Alaska cruise season features seven ships, including a fourth ship added to the Gulf of Alaska route, and three ships sailing the Inside Passage. They will depart on 122 voyages, and travelers can choose from more than 20 different cruisetour options. Additional information about cruises to Alaska and Princess Cruises is available through a professional travel agent, by calling 1-800-PRINCESS, or by visiting the company’s website at www.princess.com. One of the best-known names in cruising, Princess is a global cruise and tour company operating a fleet of 16 modern ships renowned for their innovative design and wide array of choices in dining, entertainment and amenities and exceptional customer service. Princess is a leader in Alaska travel, offering immersive land/sea vacations that feature the state’s “must see” attractions, including Glacier Bay National Park and Denali National Park. Princess owns and operates five wilderness lodges nestled in scenic riverside locations throughout the state, as well as a fleet of deluxe motorcoaches and glass-domed Princess railcars – giving travelers the opportunity to combine cruise, rail and lodge options to see all the best of Alaska. The company is part of Carnival Corporation & plc (NYSE/LSE:CCL; NYSE:CUK). Travelers dreaming of visiting the splendor of Alaska’s wilderness have an opportunity for savings on cruises and cruisetours to the 49th state with Princess Cruises’ first-ever After Thanksgiving Alaska Sale. Running from November 25-29, the sale offers passengers up to $1,000 in savings and up to a $50 onboard credit on one of the cruise line’s popular cruisetour vacations, which combine a Gulf of Alaska cruise with rail travel to Denali and stays at Princess’ exclusive wilderness lodges. For those who opt to see Alaska by sea only, the sale provides a free balcony upgrade and up to $100 onboard credit. The After Thanksgiving Alaska Sale begins on “Black Friday” November 25 at 12:00 am PST and runs through 11:59 pm PST on Tuesday, November 29. The sale is available to residents of the United States, Canada, Puerto Rico and Mexico. Reservations made during the sale require a non-refundable deposit.